Constantia - one of Cape Town most affluent suburbs - served as the breathtaking setting for our delicious lunch on a breezy, Spring afternoon. A few of us at Siyabona Africa were invited for a quick site inspection and a leisurely alfresco meal. Famed for its delicious wine, award-winning restaurants and breathtaking landscapes, Constantia is a favourite among locals and international travelers alike. With a winemaking history dating back to the 17th Century, it comes to no surprise that Constantia is one of the go-to places for fine wine and exquisite cuisine. One of the monuments to have existed during this period is the exquisite Alphen Boutique Hotel - our playground for the afternoon. Alphen is a feast for the eyes. The hotel boasts with Avant Garde decor - think Contemporary meets Victorian - and beautiful luscious gardens. It is the ideal venue to escape from it all and is perfect for romance. Pre-dinner drinks or special celebrations can be enjoyed on at the deck bar, and a blissful afternoon spent on a sunlounger or daybed next to the swimming pool. 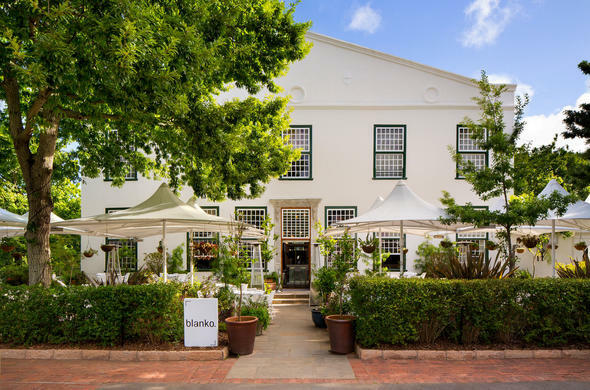 After exploring the premises of this luxury Cape Town hotel, we worked up quite an appetite and decided to have a seat at Blanko Restaurant. At Alphen Boutique Hotel you are spoiled with choices - the hotel boasts with 3 unique dining venues; La Belle Bistro & Bakery, The Rose Bar Outdoor Garden Lounge and Blanko. Blanko had the vibe we were after - relaxed, cosy and vibrant. As we entered the alfresco dining area, the chit and chatter of the diners put us at ease. We were greeted by friendly staff and the reservationist showed us to our table. Determined to enjoy our lunch alfresco, the chilly winds of Cape Town did not phase us. We were offered blankets, but bravely declined. The restaurant decor is crisp and chic - white tables and cream seats, as well as contemporary art can be spotted throughout. Blanko also has a trendy bar area, which offers a selection of alcoholic drinks. 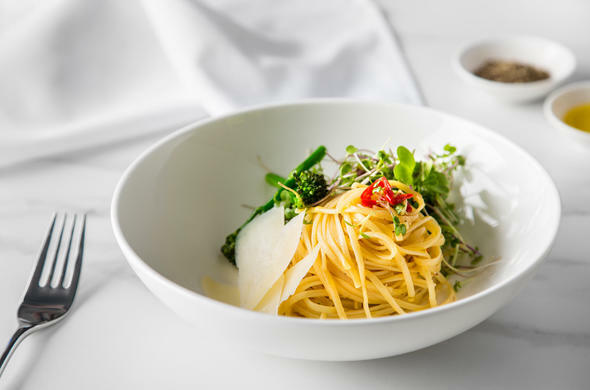 The Italian menu features appetisers, soup, salads, and other delicious mains. For starters, we had a delicious platter with all the things I like - bread, cheese and cured meat - over mouthfuls of fine white wine. As we conversated, we had a difficult time deciding on our mains. 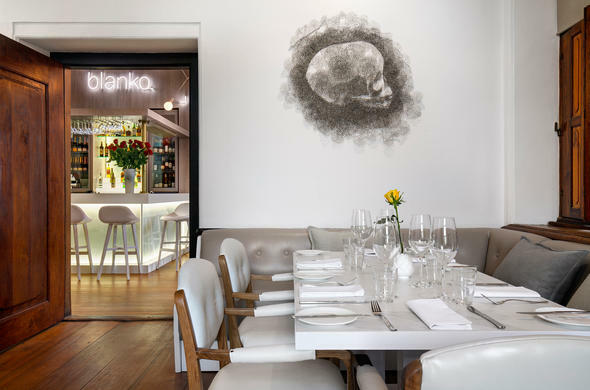 We were told that Blanko served some of the best pasta, and were more than keen to try. The Carbonara, Lamb Ragu, and Risotto were a hit at our table. Meat lovers gravitated towards the succulent Lamb Ragu, and even though I too was tempted, I opted for the Carbonara. We’ve noticed that we were missing one plate, then the chef came to our table and introduced himself. He wasn’t happy with the quality of the Grilled Seabass he originally made, and when he perfected it, he personally served it at our table. The attentive servers of Blanko made sure that our glasses were always filled with the beverage of our choice as we tucked into our plates. Italian desserts are always a winner. The menu features creamy Panna Cotta, indulgent Tiramisu, and many more.